Showing my Mum round the garden yesterday, I noticed that the leaves of my borlotti beans are starting to wither away. I’ve not grown borlottis before (or beans, for that matter) but I reckon that means it’s time for picking them. Glorious, aren’t they? 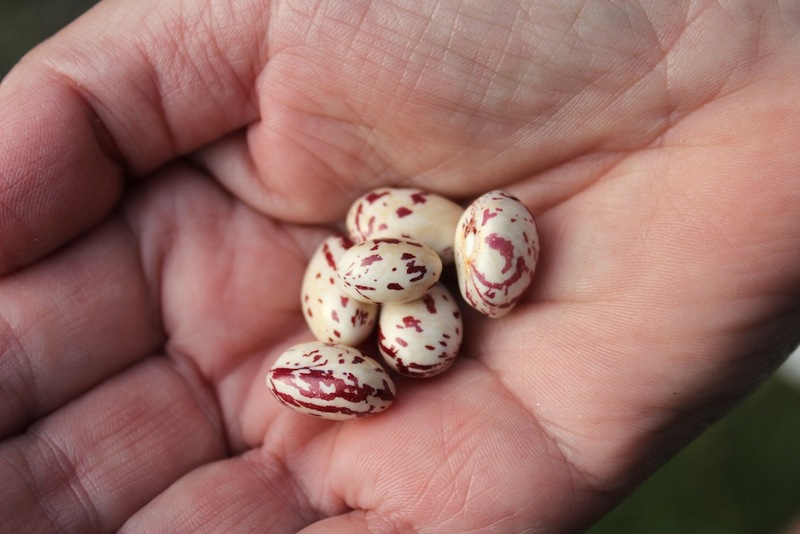 Inside, the beans have the wonderful marbled red patterns as well. Full disclosure, this is not my hand, but that of my well-trained hand model (aka my Mum). 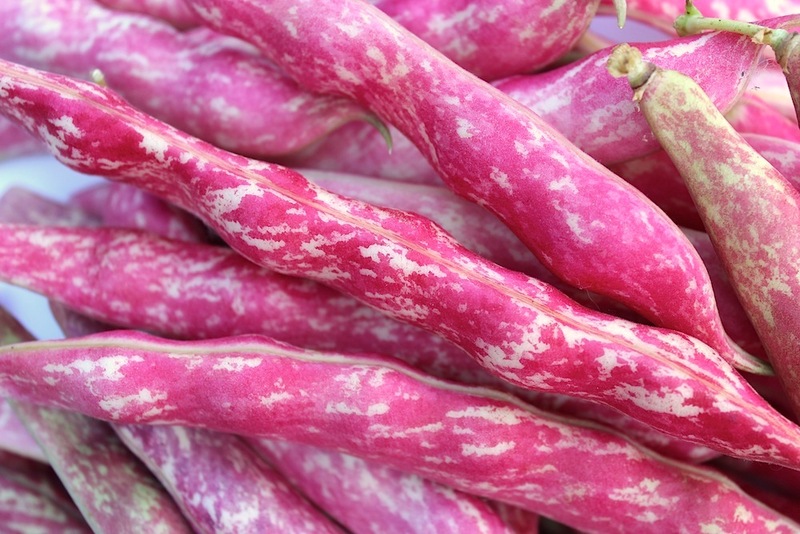 I’ve pinned a few borlotti bean recipes; now I just need to decide which ones to try out with this excellent harvest. Joining in with the August Break. See a photo for every day in August in my August break category. There’s a fabulous borlotti soup thingy isn’t there … my friends used to make it – it’s a classic but I can’t remember the name right now … it has kale in it too? Not much help eh?! Mmmm, that sounds good! Will have to go a bit of Googling to find out. I podded all the beans this afternoon and I think I really only have enough for one meal (one meal! one meal! after however many months tender loving care) so I reckon I am going to go for a borlotti bean stew to really enjoy them. But shall investigate the soup for next year’s crop, ha ha.